Mass accuracy within 2 ppm gives you complete confidence in your analysis. Powerful Agilent Jet Stream source enables you to uncover low level components. Wide in-spectrum dynamic range facilitates simultaneous measurement of minor components in the presence of intense background interferences. The latest developments in Agilent Infinity II UHPLC, 2D-LC, SFC, and even GC-APCI chromatographic interfaces give you blazing fast acquisition speed. Powerful MassHunter software provides the latest software capabilities for profiling, characterizing, identifying, and quantifying compounds in complex mixtures via high-definition MS and MS/MS. Check out the latest developments in untargeted screening and quantitation using Agilent’s All Ions MS/MS technique. Computer loaded with MassHunter BioConfirm (G829AA), Agilent SpectrumMill Proteomics (G2721AA), Mass Profiler Professional (G3835AA) and Personal METLIN metabolite database (G6825AA) software. The Dionex Autoselect™ AS50 Autosampler precisely delivers from 1.0 to 99.9 µL (in 0.1 µL increments) or 100 to 1000 µL (in 1 µL increments) of sample to an injection valve. Two types of trays are available for sample vials: one for 2 mL vials and one for 10 mL vials. During sampling, the tray remains stationary and a sampling needle arm moves from vial to vial. Up to 99 injections can be taken from each vial. The AS50 can be controlled locally, from the front panel keypad and display, or remotely, with a personal computer running Chromeleon software installed. 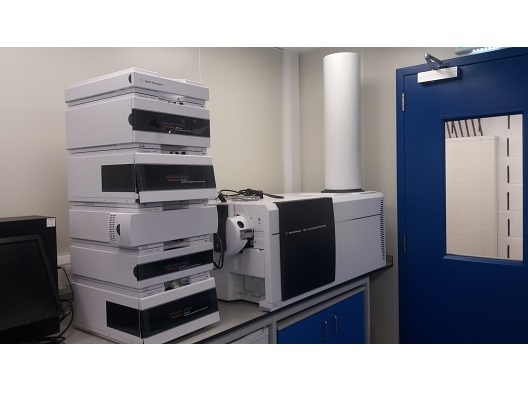 The AS50 can be configured with PEEK flow paths and components for ion chromatography (IC) applications, or with stainless steel flow paths and components for high-performance liquid chromatography applications (HPLC). The BeadBug™ 6 joins the large capacity BeadBlaster™ 24 and personal sized BeadBug™ as the newest member of the Benchmark homogenizer line. Like the other members of the Benchmark Microtube Homogenizer family, the BeadBug 6 utilizes a three dimensional shaking motion to disrupt samples. This motion, when combined with beads of the appropriate size and material, causes high velocity impacts with the sample and is an extremely fast and efficient method for releasing cellular contents, including nucleic acids and proteins. 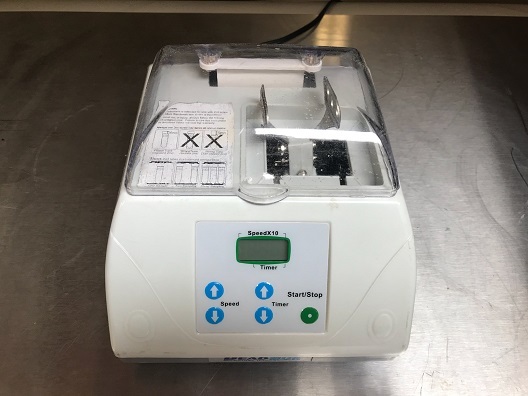 Many different sample types, from cells in culture to organ tissues and bone can be homogenized in the BeadBug 6, most within 45 seconds. Sealed tubes prevent cross contamination in the BeadBug 6. Samples are simply loaded into the tubes along with the beads and placed in the unit for processing. Designed to fit the needs of medium throughput laboratories, the BeadBug 6 can simultaneously process up to six samples in 2.0ml tubes. 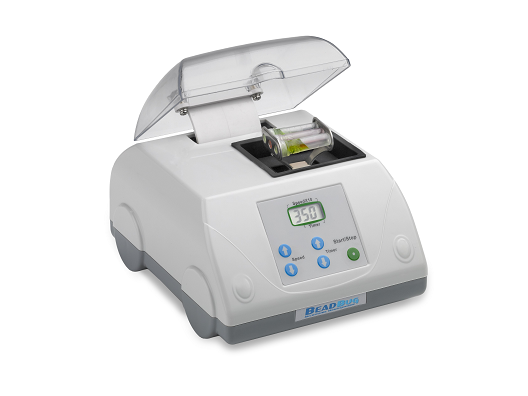 The BeadBug is a high energy benchtop homogenizer that sets the performance standard for personal sized cell disruption and lysis instruments. Simultaneous homogenization of up to 3 samples takes place inside the disposable 2 ml screw cap microtubes. The optimize mixing motion causes rapid cell disruption through constant high velocity impact from the hardened micro-beads chosen specifically for the sample type. With up to three tube capacity and a footprint of just 7 x 8”, the BeadBug is the ideal homogenizing instrument for low to medium throughput laboratories. Dimensions: 6.9: x 8.3" x 5.3"
The new MyBlock™ Mini DryBath is a personal sized instrument that fits in the palm of your hand. Six block configurations are available for a variety of tube sizes, ranging from 0.2 to 50ml. A large, backlit display is used to control temperature up to 80° C (minimum temperature is ambient +5° C). Each unit includes a clear plastic cover that provides enhanced temperature uniformity and ramping time. A convenient block lifter is also included, allowing block to be removed from the instrument before they have cooled. Ramp Time (20°C to 100°C): <20 min. 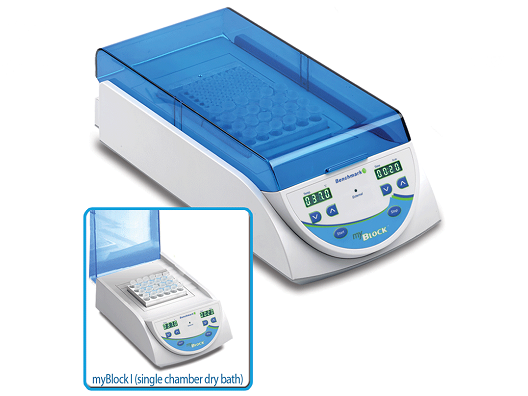 Personal centrifuge ideal for quick spins of microtubes and PCR tubes. Easy to use, with storage that prevents loss or misplacement of rotor. 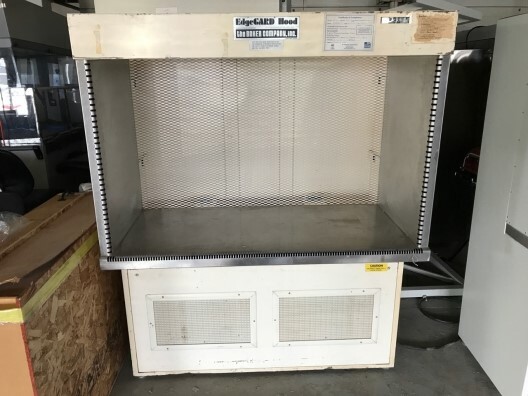 The Baker EdgeGARD clean bench is ideal for IV admixture preparation, drug compounding, plant cell culture, media preparation, pharmaceutical procedures, electronic assembly, and limited experimental research. 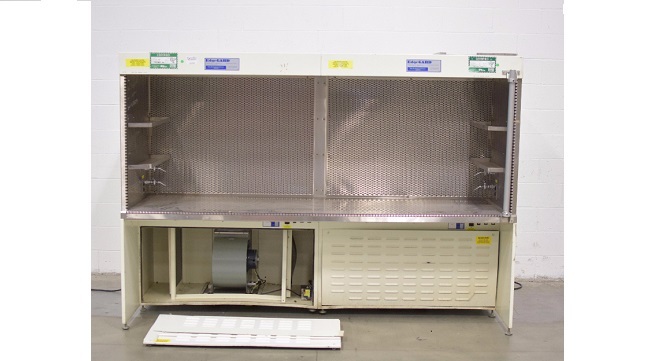 A clean bench is not designed to protect personnel or the environment from potentially harmful agents. 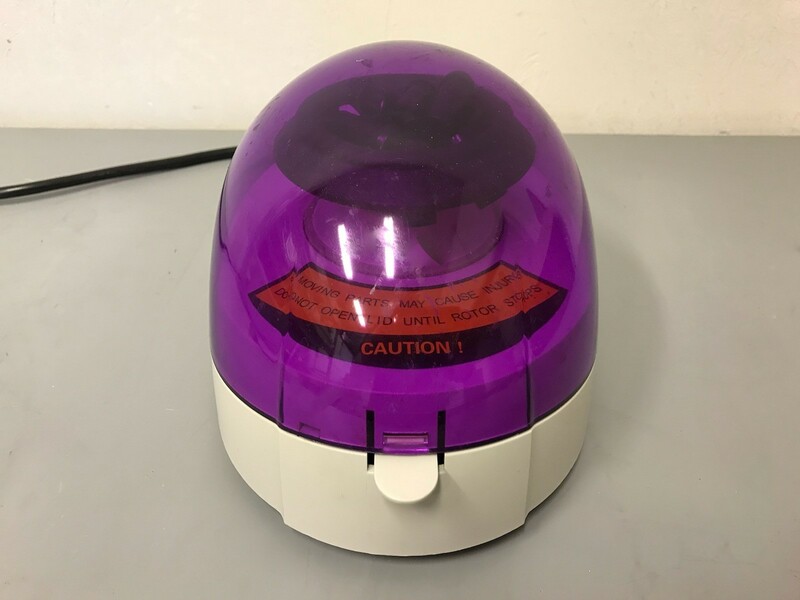 The adequacy of this product for the user's personal safety, as with any clean bench, should be determined by an industrial hygienist or safety officer. 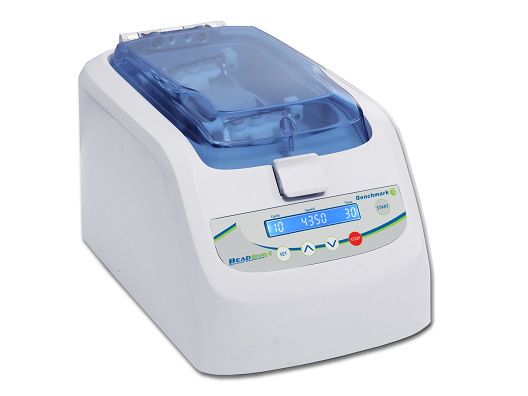 Description: FlexiFuge is a versatile, personal micro-centrifuge for quick, low speed centrifugation. Whisper quiet motor offers two speeds (2000g / 5,000g or 9,200 RPM) depending on application. FlexiFuge can be operated in continuous mode, pulsed for a short burst of rapid centrifugation, or timed to spin from 1-15 minutes. Regardless of setting, rotors stop once the lid release button is pushed. A ring of LED lights illuminate when the unit is active and can be viewed through the transparent lid. Color can be changed (red, green, blue) or turned off by a switch under the unit. FlexiFuge is supplied with an 8-Place fixed angle rotor for 1.5mL tubes, a rotor for (4), 8 x.2mL PCR tube strips, 8 adapters for .5mL tubes and a 4-place rotor to spin 5mL micro-centrifuge tubes. Especially designed for work with dangerous biological substances. High product and personal operator protection from contamination. Modular design for flexible, individually orientated use.